ISR's unique results are achieved through fully customized, safe and effective, one-on-one lessons with only your child and the Instructor in the water. What your child will learn, and the way he or she will learn it, is what makes ISR so different from traditional swimming lessons. Always putting safety first, ISR emphasizes competence, which leads to confidence, and provides the foundation for a lifetime of enjoyment in and around the water. What your child will learn depends on his or her age and developmental readiness, but in all cases, at minimum, your child will learn to roll onto his or her back to float, rest, and breathe, and to maintain this position until help arrives. Generally speaking, children ages 6 months to 1 year learn the ISR Self-Rescue™ skill of rolling onto their backs to float, rest and breathe. They learn to maintain this position until help arrives. 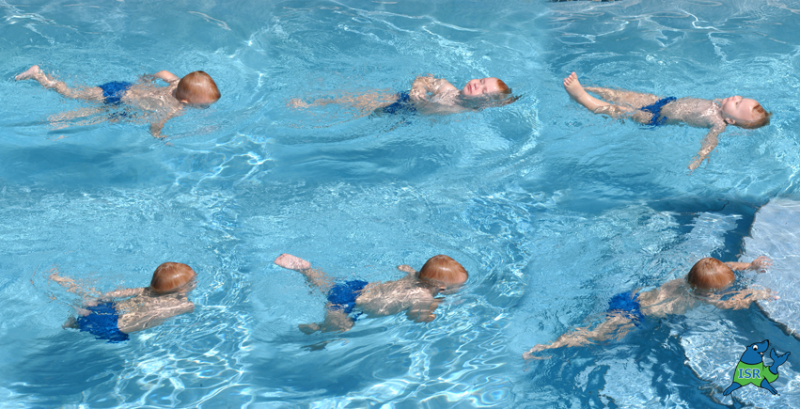 Older, more mobile children will learn the full ISR Self-Rescue™ sequence of swimming until they need air, rotation onto the back to float, then rolling back over to continue swimming. ISR students are taught to repeat this sequence until they reach the safety of the steps, side of the pool, or the shoreline. I teach from my home in Chandler, AZ on the SW corner of Gilbert Rd. and Ocotillo. My pool is heated for the comfort of each student.